Containing the Middle East (excluding Egypt), Iran and the Gulf Arab States that comprise the Arabian Peninsula. Blurb: A superb travelogue of Dalrymple’s 1994 journey in the present day Middle East, as he frequents places visited in the late 6th century by the medieval Monk, John Moschos in what was then the Byzantine Empire. 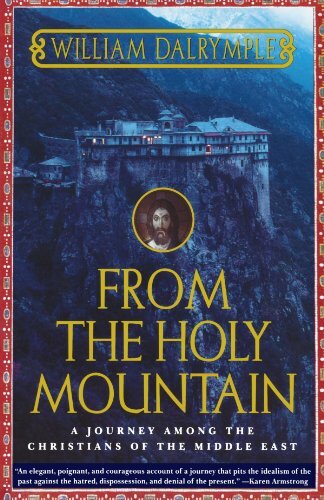 Delivering a splendid account of how Christian communities have been impacted over time as Islam has ascended to become the predominant religion, Dalrymple’s story is a reminder of the importance that Christianity used to play in this region and that is in danger of being completely erased from this part of the world. 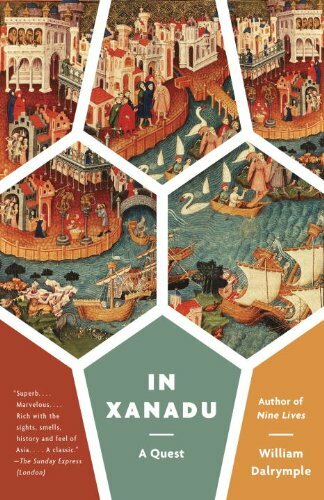 Blurb: In Xanadu is a superb first travelogue by William Dalrymple, which describes his 1986 retracing of Marco Polo's 15-year journey from Jerusalem to Inner Mongolia in present day China. Dalrymple's amazingly ambitious journey via the Silk Road is a sheer delight to read and provides a wealth of historical information and no small amount of humour for us to enjoy along the way. 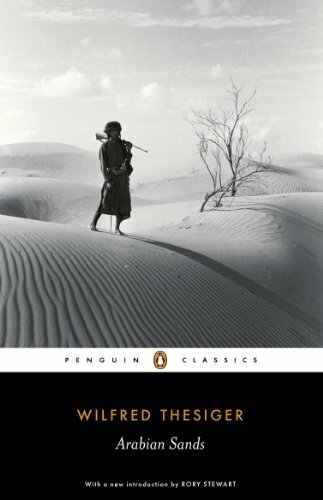 Blurb: Sir Wilfred Thesiger's an all-time travel literature classic mostly describes his travels and exploration of The Empty Quarter, Yemen and The Western Sands in Arabia in the mid to late 1940’s. This is an extremely important and fascinating account of the nomadic Bedouin (the Bedu) and their lifestyle, and one which exposes the reader to a wealth of information on the people, history, geography and customs of this arid region that now belong to a bygone era. 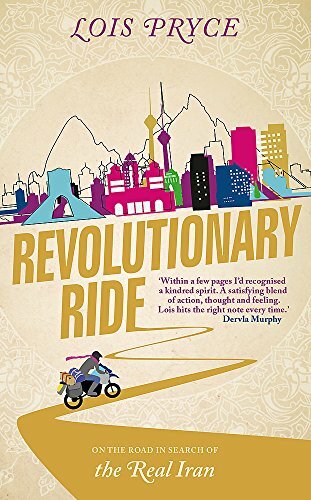 Blurb: Pryce takes us on an interesting motorcycle ride through northwest and central Iran having made a decision to travel the country after finding a passionate note from an Iranian pinned to her motorbike whilst outside the Iranian Embassy in London. Navigating the all too real difficulties of procuring a Visa for a British national at the time (in 2014) and the madness of Iranian driving, Pryce's at times unnerving journey is well written and does a nice job of illustrating the wonderful hospitality showered on travellers to this amazing country. Blurb: Two artists from the United Kingdom undertake a journey through the Middle East to explore the region post 9/11 and up to and during the invasion of Iraq. The book focuses primarily on the people they meet as they drive in a pick-up truck “Yasmine” and showcase their journey-inspired art through less visited places such as Iran, Kurdish Iraq, Saudi Arabia and Baghdad immediately after its capture by Western forces. 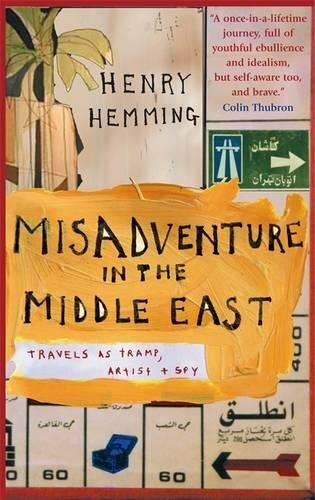 While doing so, Hemming is able to shed some insight into the prevailing mood at the time and delivers an extremely well written account of their adventure during troubled times. Blurb: My Desert Kingdom is an enjoyable and insightful book detailing an Australian couples ex-pat experience in the Kingdom of Saudi Arabia. Written prior to 9/11, it focuses on the trials and tribulations of ex-pat life, not shying away from the unglamorous aspects that are part and parcel of living in this insular country. 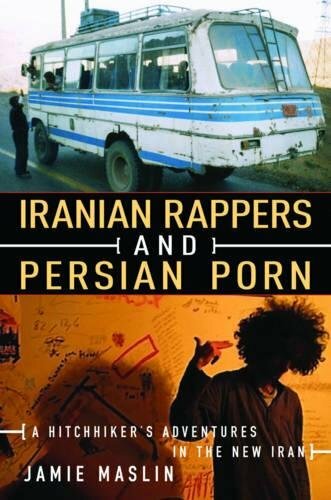 Blurb: A humourous travelogue that provides glimpses of life in Iran from the viewpoint of a young British backpacker as he is showered with hospitality from nearly all he meets during his journey in and around one of the countries that makes up the Axis of Evil. Travelling mostly by bus and train, Maslin's journey is an on-the-ground account of the changing attitudes of people within the country towards those in control and one which has resulted in him being banned from visiting Iran again. 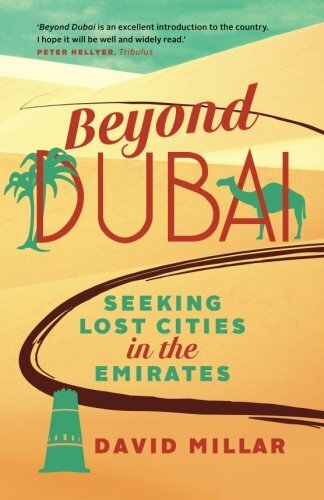 Blurb: Beyond Dubai: Seeking Lost Cities in the Emirates takes us on an historical travel journey around the United Arab Emirates as the author attempts to convince his girlfriend of the cultural merits of the UAE, beyond the stereotyped images of glitzy shopping malls. Extremely well researched, the book provides a veritable treasure trove of information on the history and potential places of interest to visit in the Emirates and neighbouring Oman. Whilst not laugh out loud funny, the author’s observations are injected with humour and he makes what might ordinarily be a dry story, very interesting. An honest account of the region and written almost as a guide book narrative, this is certainly one to read for anyone interested in relocating to the UAE.